I ​talked with Robbie Harris of Blacksburg Public Radio about Pretend We Are Lovely and the magic of Blacksburg, Virginia. 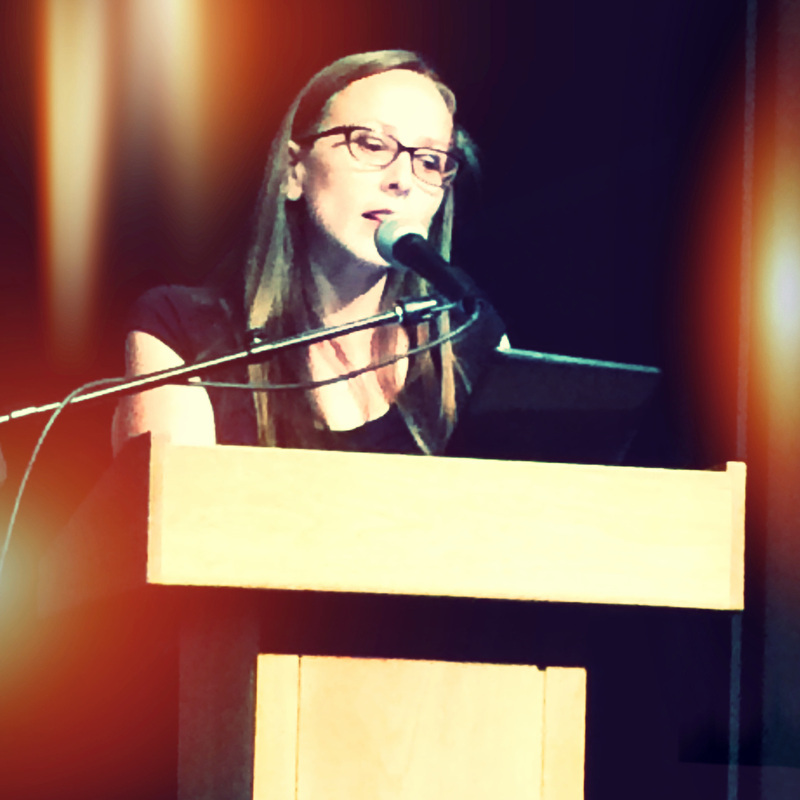 My essay "Online Dating in the Skin of My Former Self" appears in The Lily. My essay "Thick and Thin" appears in The Rumpus. Novelist Annie Hartnett interviewed me for Fiction Writers Review. Find your own pink balaclava here. Novelist Ethel Rohan interviewed me for Los Angeles Review of Books. We talked all about grief, hungers, and body shaming. Read it here. Alongside print and ebook versions of Pretend We Are Lovely, it is also an audiobook by Penguin/Random House, with 4 stellar narrators reading the 4 living family members' sections of the novel. Listen to the playlist for Pretend We Are Lovely on largehearted boy. Read the first chapter of Pretend We Are Lovely on Literary Hub here. Bustle's E. Ce Miller interviewed me about Pretend We Are Lovely, the undercurrents of disordered eating, body image, sizeism, and my experience with all of these. Read the interview here. Fantastic review of Pretend We Are Lovely in Publishers Weekly: "Told in bright shards of chapters from the points of view of the four survivors, the novel never descends into mere case history. Set mostly during a single summer, it reaches a climax during Halloween, that sugar-laden holiday in which boundaries are often broken. This is a tense, vivid, and sharp novel that captures the complex relationships between the Sobel family members, particularly between sisters Vivvy and Enid." Read the full review here. Pretend We Are Lovely receives a starred review from Kirkus: " . . . this fever-bright novel of desire and withholding . . . " Read the full review here. "Noley Reid's Pretend We Are Lovely is an effortless unfolding of delicate voices, a collage of different perspectives that add up to a family. Reading it feels like vivid memories of a Southern summer; quietly engrossing and intimately nostalgic." 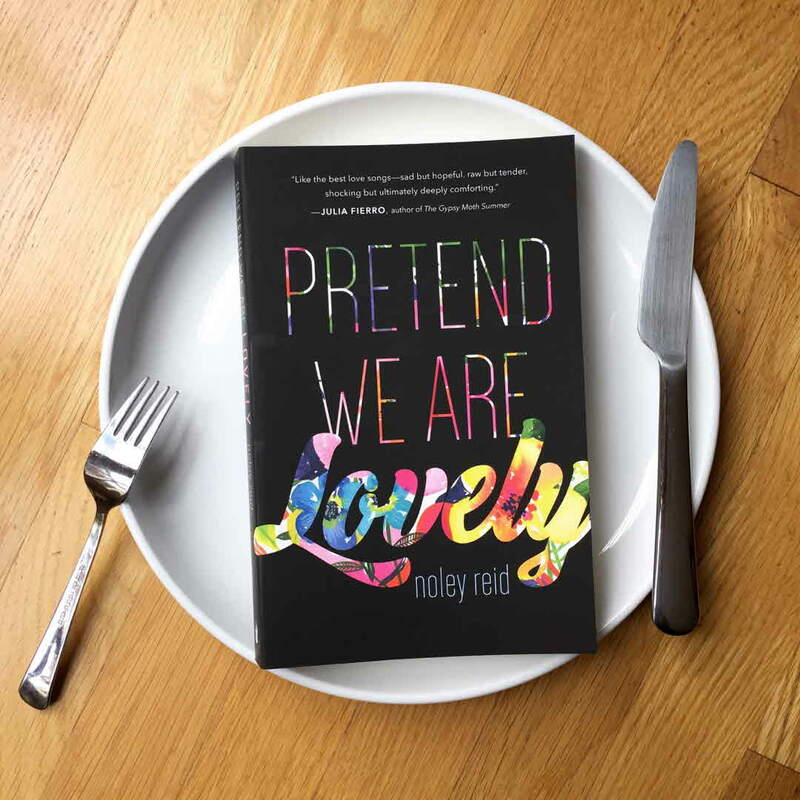 "In Pretend We Are Lovely, Noley Reid captures what it is to have to be a parent while still a child and does so in the most true and perfect way. Even more magically, she captures the reverse, calling on the children inside us with so much empathy that we come away able to laugh at the pain that makes us wise." "Hunger shapes the intertwined narratives of Noley Reid’s searing and clear-eyed novel, wherein no one escapes unscathed the emotional starvation of a family." "Noley Reid's memorable novel is funny and heartbreaking in equal measure." Loving the fruit of my recent photo shoot with Jesse & Gena Photography!